The project has a donation scheme, which has been supported entirely by the private sector, and the big guns at that. 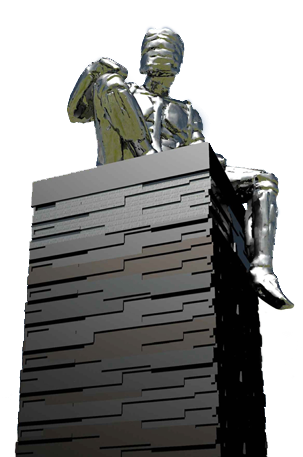 The organisers have now opened it up to everyone and, for a minimum donation of £20, you can have your name engraved on a steel heart which will be inside the sculpture. You also get a special heart badge and certificate. We've donated, we're just hoping that the names will be in alphabetical order, as we should be at the top of the list! Licensed under Creative Commons Attribution - Share Alike 3.0 via Wikimedia.